I may be getting the hang of this blog stuff, well at least I didn't wait a month to post again! The New Year's over and I've begun to "demantle" Christmas in the evening. 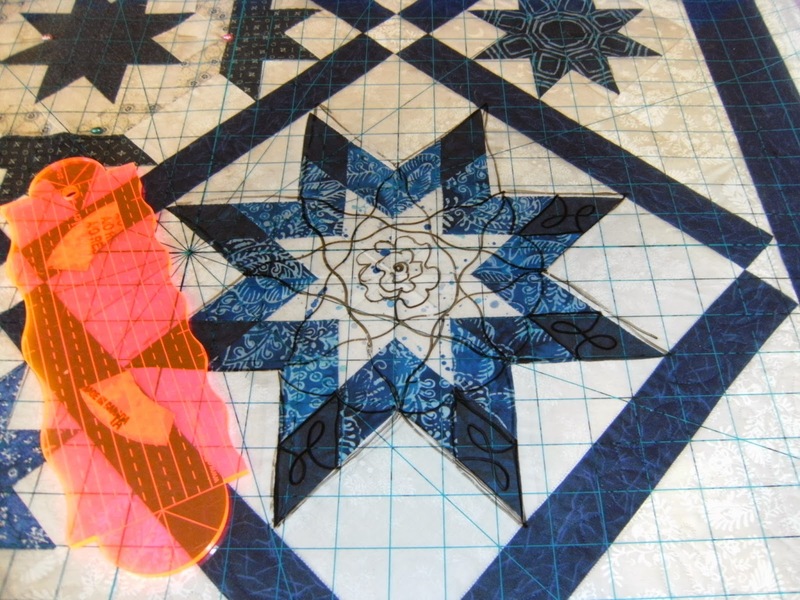 Day hours I am working dillegently in the studio, trying to get my quilts done for MQS. 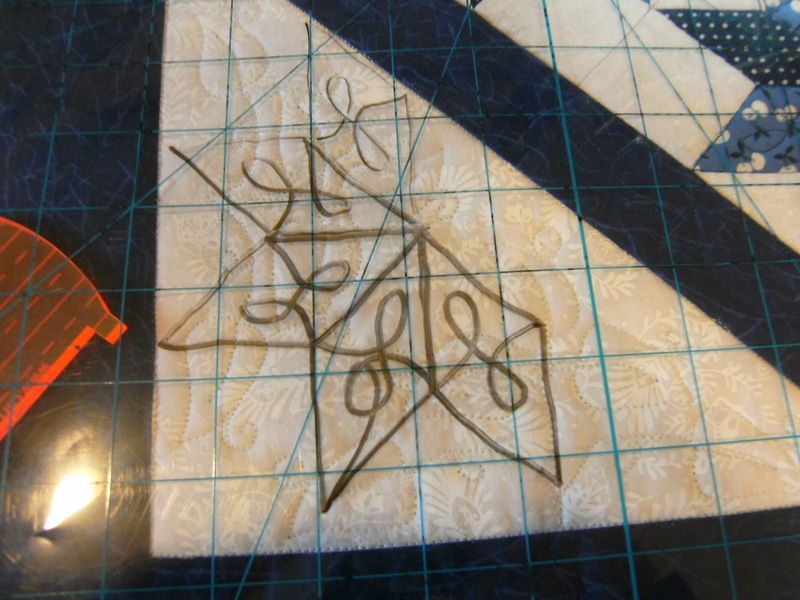 Jumping back and forth between quilting one and piecing another has made these cold days fly past. 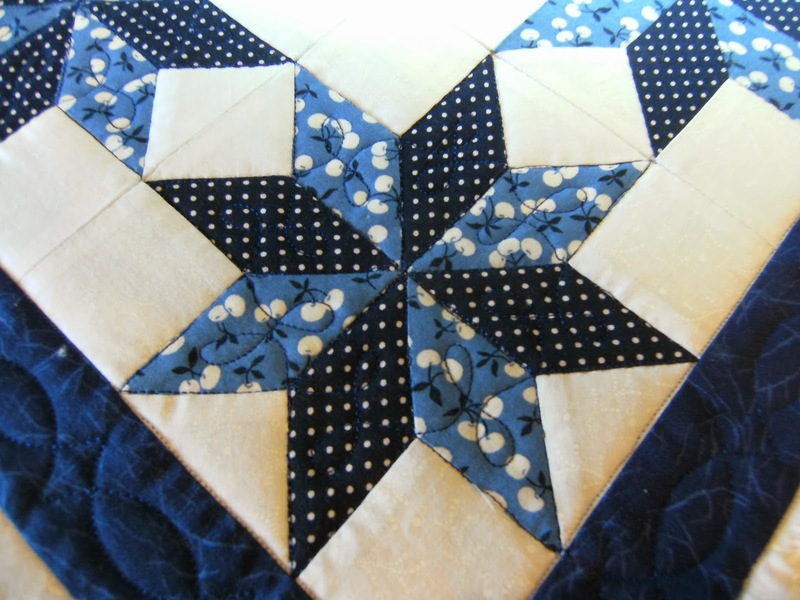 Unfortunately the weather has caused Guild meetings to be cancelled and I miss my quilty friends! 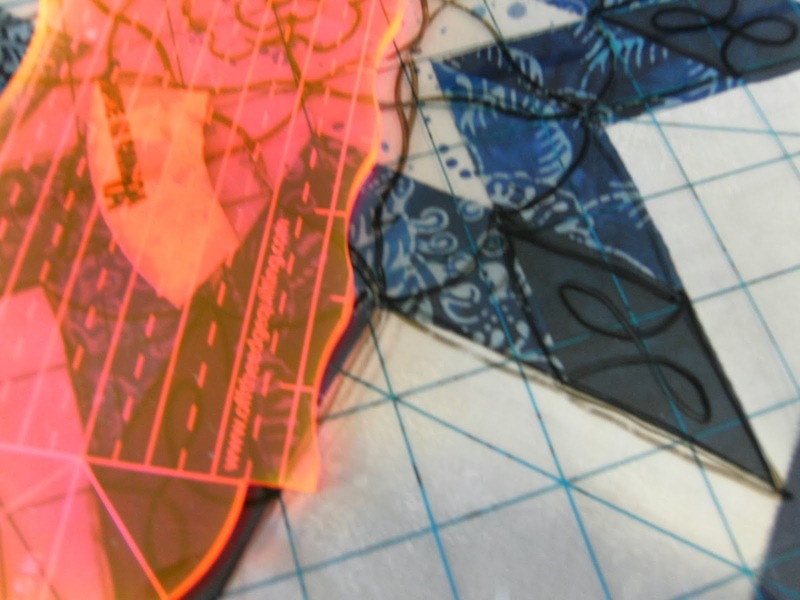 Saturday is the St. Louis Modern Quilt Guild and I am going! 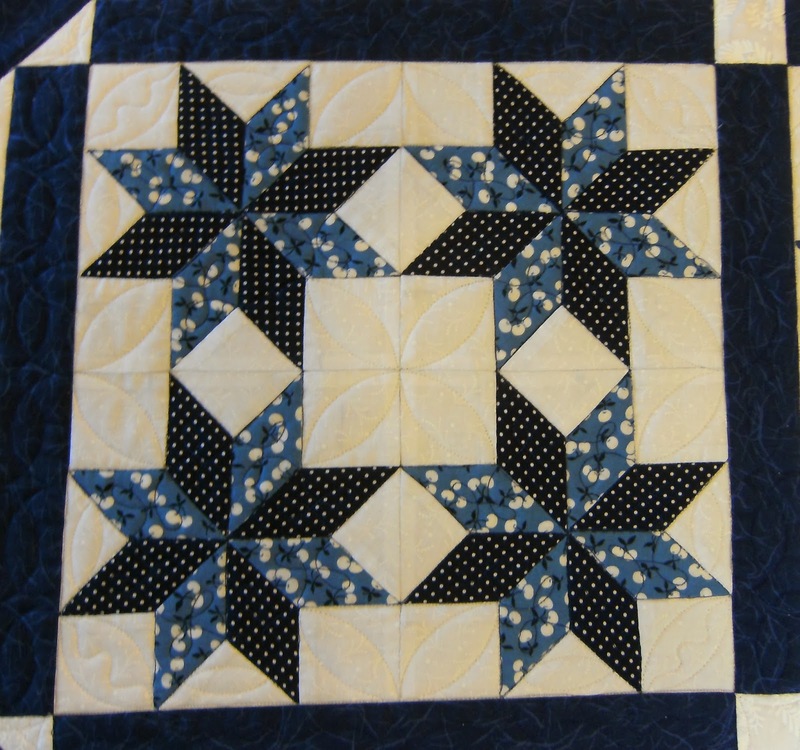 The weather should be OK so look out fellow quilters here I come. 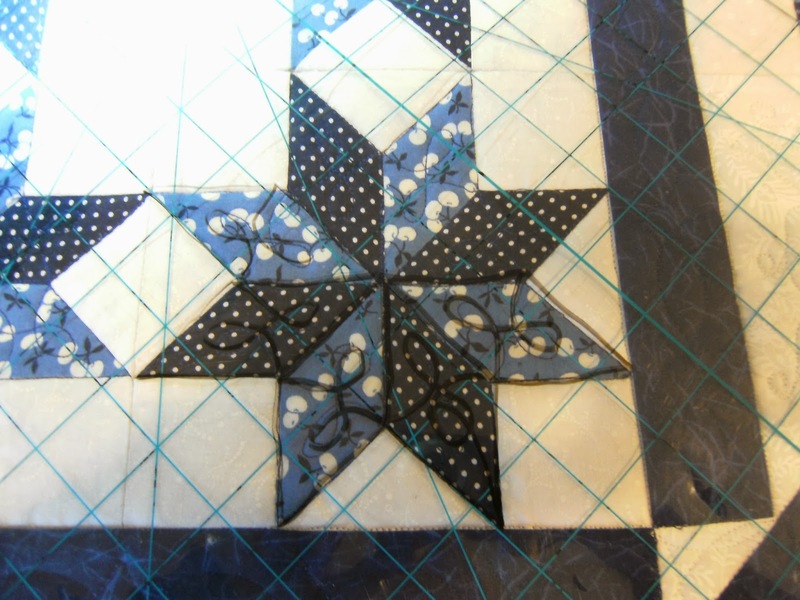 The next couple of blocks from Dot's quilt follow. It's kind of fun, going back and looking at these blocks. Really helps get my creative juices flowing. I had forgotten that the recurring items in blocks are feathers, "l"s, and leaves. Plastic design, see the 'l' swirls? 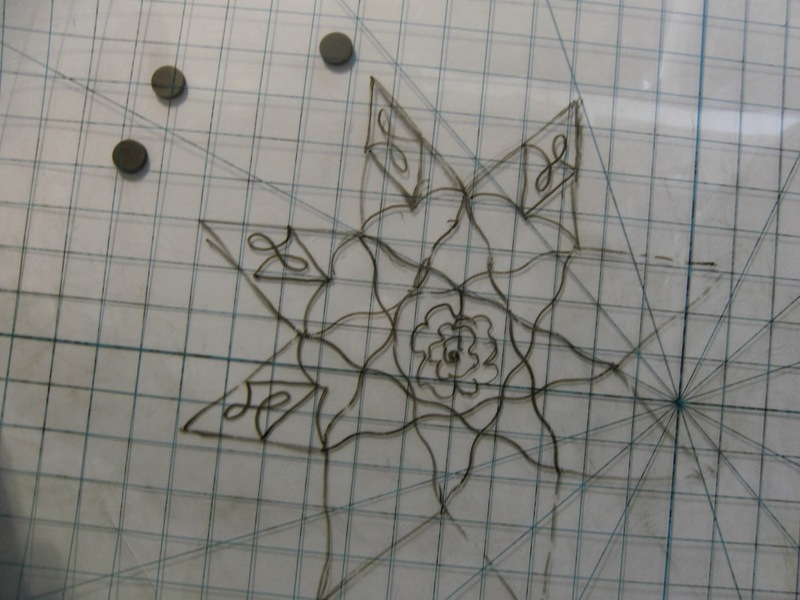 Plastic drawn design. More "l"s.
So, that's all for today. Please come back to see more blocks. 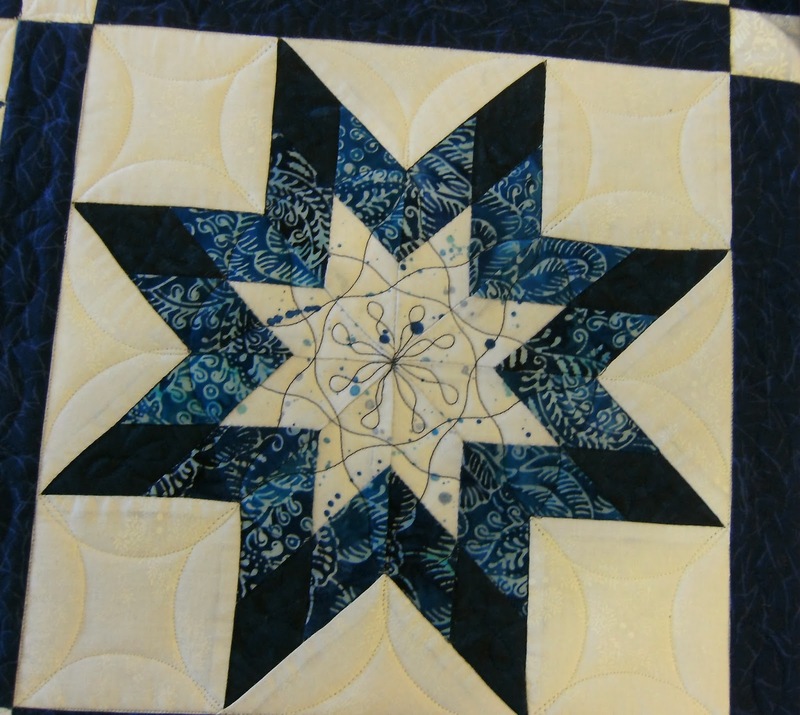 It's been fun reminising how I quilted these blocks and I hope you enjoyed my process. Please feel free to leave a comment. Yeah Ann! I am proud of your blogging endeavor! Another peek into the mind of an artist! Thanks for sharing your passion with us! Have fun at MQG on Saturday, wish I could go!